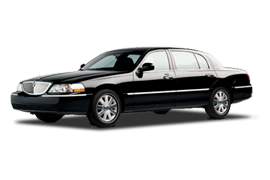 Twin Cities Minneapolis Car Service and Town Car provides professional chauffeured ground transportation services to and from the Minneapolis−Saint Paul International Airport. Our MSP limo service provides quality airport transportation services for business, frequent travelers and families. Our professionally trained chauffeurs are knowledgeable and familiar with all the Twin Cities airports. Our dispatch team monitors all flight arrivals, departures and gate information to communicate any travel changes to our chauffeurs. Whether you are traveling alone or with a group, Twin Cities Car Service will get you to your destination on-time with a smile. Our Minneapolis Airport Car Service is designed to help you get to your destination on-time and in a safe manner. Our Twin Cities Car Service Airport Transportation Division has integrated state-of-the-art Online Reservation technologies for clients wishing to book their own vehicle reservations. With this technology, you can make a reservation through your smart phone, iPad or other mobile device with access to the internet. We also offer a Twin Cities Car Service App – Learn more about our App here. Twin Cities Airport Car Service and Town Car Transport is a complete, full-service ground transportation company that understands the needs of today’s corporate travelers. Our services are economical for those looking to save on transportation costs and professional for businesses who need quality service and dependability. Our Minneapolis airport car service is offered 24 hours, 7 days a week, 365 days a year to meet all your airport transportation needs. Twin Cities Airport Car Service provides domestic and international travelers with professional airport ground transportation services at economical pricing. We provide door-to-door service as well as point-to-point airport ground transportation services for business travelers, frequent flyers and families. We specialize in corporate airport transfers. Our sedans and SUVs are perfect for airport transportation with plenty of luggage space. Twin Cities Airport Car Service offers MSP Minneapolis−Saint Paul International Airport private vans service & shuttle services. We operate a complete fleet of luxury vehicles, passenger vans and SUV’s to meet your group travel needs. Call us for more information regarding our MSP Minneapolis Airport Van Shuttle Services. Do you have a group that needs transportation services to or from the Minneapolis−Saint Paul International Airport? Our fleet of SUV’s, Passenger Vans, and luxury Sedans are ready to meet all your MSP Airport Group Transportation needs.